We are engaged in the provision of premium quality COC Cutter(Cut off Carriage). 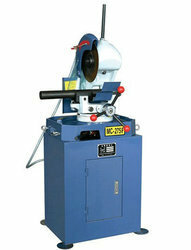 This cutter is easily available to clients at leading market rates. We are offering excellent quality Circular Cutter that is used for cutting 100 cm2 (15.5 in 2) circular test pieces of paper, board & corrugated board used in flat crush. It is a manually operated cutter with four knifes along the perimeter by turning the handle quarter of a turn the knives cut out full circular test piece. To prepare circular specimens for determining the fabric yield in grams per meter square (GSM). We have marked a distinct and dynamic position in the market by providing a high-quality array of Stenter Brass Round Cutter. - Offered cutter is used as a part of various equipment needed to make machines in engineering sector. - These are popularly used in electrical, engineering and automobile sector. 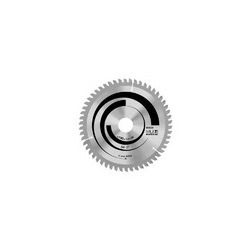 Our company offers a wide assortment of Circular Cutter at reasonable prices. These sophisticated cutting devices, fabricated using high quality raw materials, are acknowledged for their better functional life and high tensile strength. We have in-store for our clients high quality multiple Circular Bottom Knives, that are appreciated for their high performance and efficiency. The multiple bottom slitting knives blocks offered by us, enable a quick as well as operation. In order to meet the requirements of our clients, these are being offered by us with both single as well as double cutting edges.